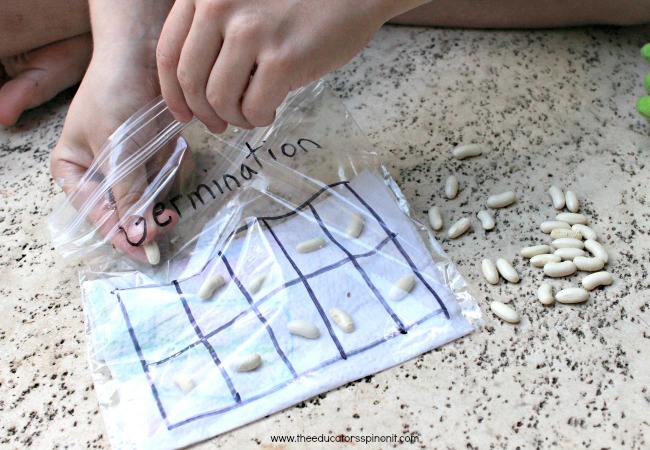 In this twist on the classic germination science experiment, children will test the germination rate of 10 green bean seeds. 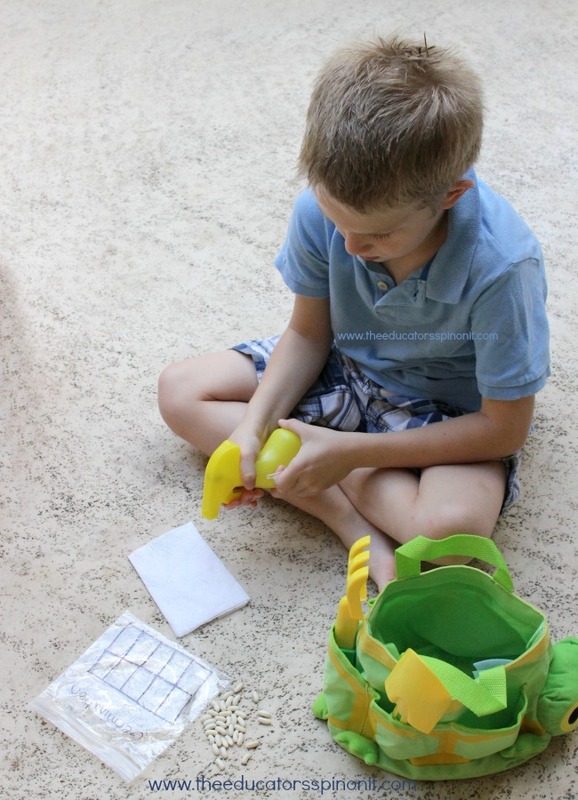 From making predictions to collecting data, your little scientists will learn all about seeds and how plants grow. Let’s get started with this germination of seeds activity! Affiliate links to products like the super cute Melissa & Doug Sunny Patch Tootle Turtle Tote Set pictured in the above picture! Prior to the germination science experiment read seed books and talk about seeds. Introduce the word GERMINATION. Germination is when the seed begins to grow a root and a shoot. This experiment will allow children to see how and how many seeds germinate. The plastic bag acts as a window into the world of plant growth! Fold the paper towel so it will fit neatly inside the plastic bag. Using a black permanent marker, draw a 10 frame on the bag. Fill the spray bottle with water and let children mist the paper towel until it is completely moist. Place the wet paper towel in the bag. Have the children place one been seed in each compartment in the 10 frame. Do you think that all 10 bean seeds will germinate? Explain your answer. Write a prediction on how many bean seeds you believe will germinate. You many guess numbers between 0 and 10. After plants have germinated check your predictions. Discuss the results. Can you figure out the percentage or germination rate of your bean seeds? Take the number of bean seeds in your bag that germinated. Use a calculator and times that number by 10. If 8 seeds germinated, you would take 8 x 10 = 80. Your seeds would have an 80% germination rate. Why do you think knowing a seeds germination rate would be helpful to a farmer? NOTE: Bean seeds germinated in this way “may” grow if you place them in a soil garden area shortly after germination begins. Often teachers will allow the bean plants to continue growing until leaves form so that students can see the plants growing. A bean seed will grow into a bean plant. The plant will produce blossoms that will turn into beans. If left to mature. The beans will contain 5-6 bean seeds that can be re-planted. Some bean seeds are white, red, brown, or black. We have even planted red speckled bean seeds. The roots and stem will come out of the seed. When this happens, it is called – germination. Roots go down from the bean seed into the earth due to gravity. 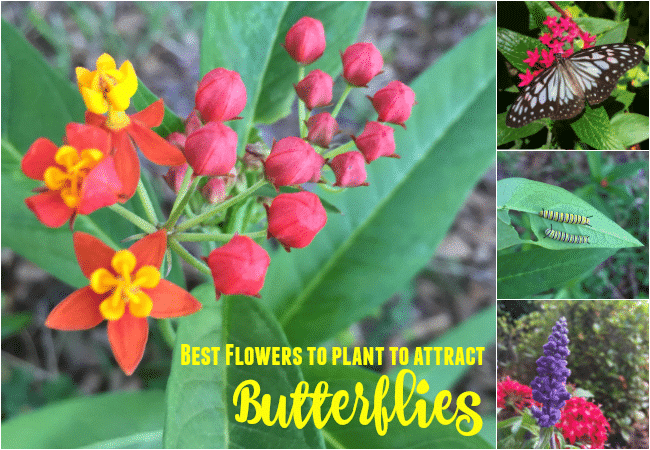 They help the bean plant absorb water and nutrients from the soil. You will see this in the first few days of your grow a bean maze experiment. Even if you plant the seed upside down, the roots will “turn themselves” back the right way. The stem, or shoot, will go upwards in search of sunlight and air. Germination: when the seed begins to grow a root and a shoot. Root: Part of the plant beneath the soil that absorbs water and nutrients. We all know that plants need water, sun, and soil to grow. In this science experiment, kids will grow a bean maze to truly “see” how plants will seek out what they need. Our kids would love to try this experiment. I love that they can also try multiplication with a calculator to find out the rate of germination. The blog is very nice and shares great information. keep up the good work.